If you ever have a major water or sewer project you have to tackle on your own, there's a good chance you may have to have the water shut off to your residence from your curbside water main. There are two ways to do this. The first is to call your water company or homeowners association to have a representative come turn it off for you. The other way is to use a tool called a curb key (which is the mechanism the water company uses) to turn your own water off. The curb key consists of a long rod with a handle on one end and a slotted square fitting at the other end that fits over water shutoff operating nut. 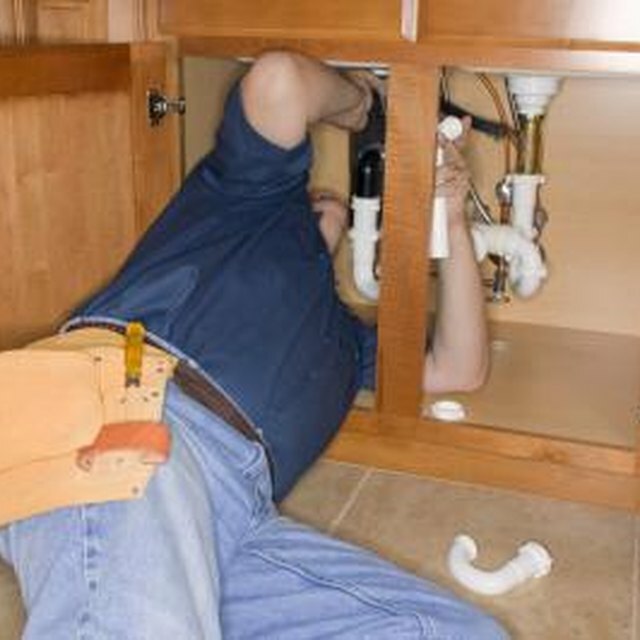 Locate your water main shutoff cover and use a crowbar to pry the cover off. Shine your flashlight down the water main hole so you can get a visual idea of where the shutoff operating nut is. Lower the curb key down into the hole and maneuver it until you feel the squared end slip tightly and firmly over the shutoff nut on the water main. Twist the bolt all the way to the right to turn off the water flow to your residence. When you are finished and need to restore your water, insert the curb key and turn it fully to the left to open the water connection to your residence back up.